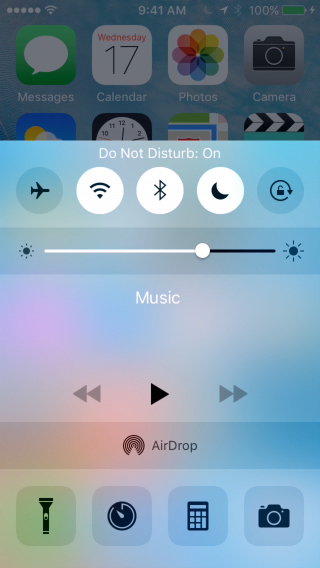 In this tutorial you are going to learn how to use Do Not Disturb mode on iPad and iPhone on iOS9. Do Not Disturb mode will stop any notifications from apps shown on your device. You will still receive notifications but they are hidden until you unlock your device. When Do Not Disturb mode is enabled, a crescent moon icon will show on the status bar. Slide up from the bottom of the screen to show the control panel. 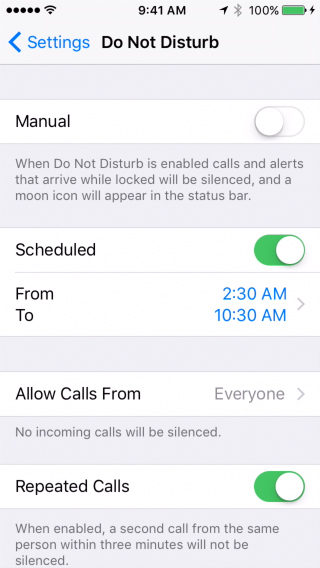 Tap the Moon icon to enable Do Not Disturb mode. Tap again to disable it. Enable this and specify the time you wish to not be disturbed daily.